I can’t get Hawaii out of my head. All year long I’ve been making Pineapple Mimosa’s and dreaming of the beach. I think I’ve drank more prosecco this year than I ever have before! 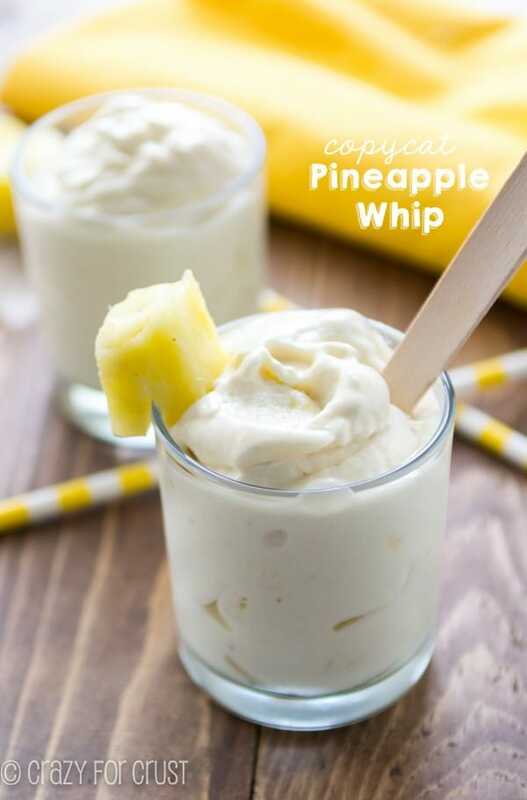 After I made my Cake by the Ocean Cocktail last month, I started thinking about other cocktails I could make with pineapple juice. And I wanted to add bubbles because, well, bubbles make everything better. Also, there’s just something about the smell of pineapple juice that transports me to the beach. 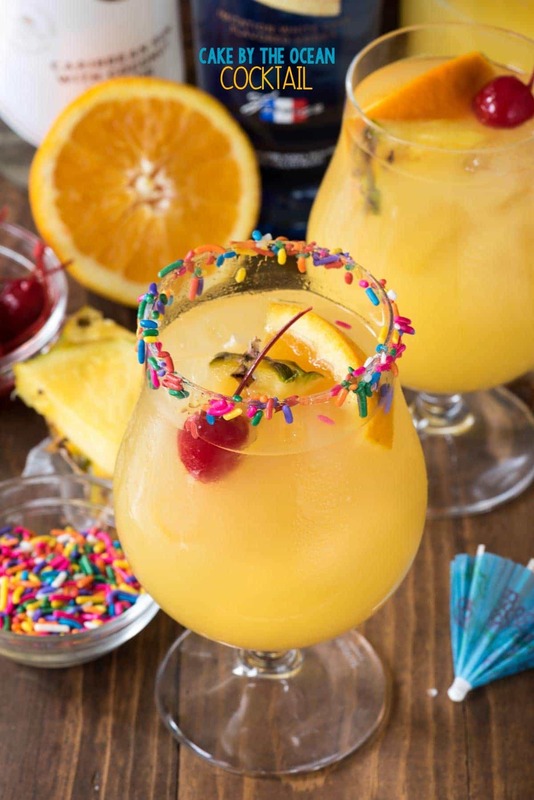 This Pineapple Party Punch is a mix of my Champagne Punch Bellini and a sangria recipe. There are just three main ingredients, and if you’re like me, you already have them well stocked in your liquor cabinet: Prosecco (or champagne), Pineapple Juice, and Rum. You just have to mix together the juice and rum, and then when you’re ready to serve it, pour the bottle of prosecco into the pitcher. I also added frozen pineapple chunks to keep it cold. You can easily make this non-alcoholic by skipping the booze and using lemon-lime soda (diet or regular) or club soda in it’s place, kind of like a pineapple soda. The kids will love it! 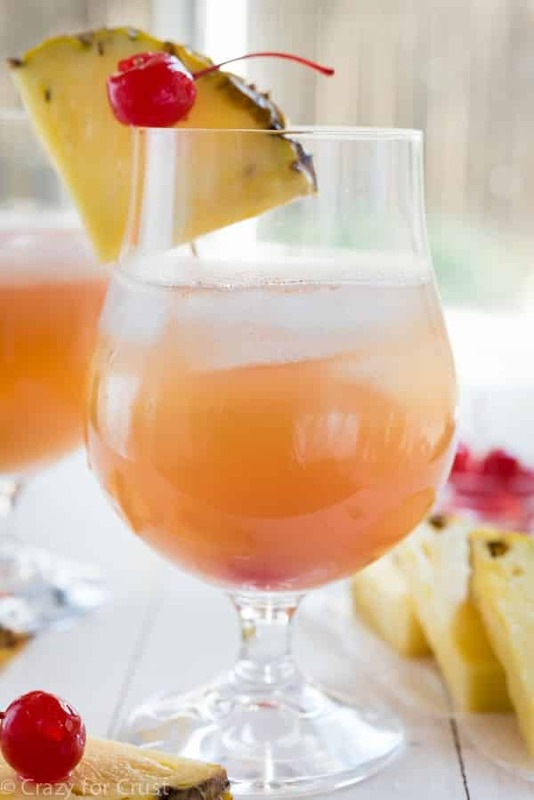 Pineapple Party Punch - the perfect cocktail recipe! 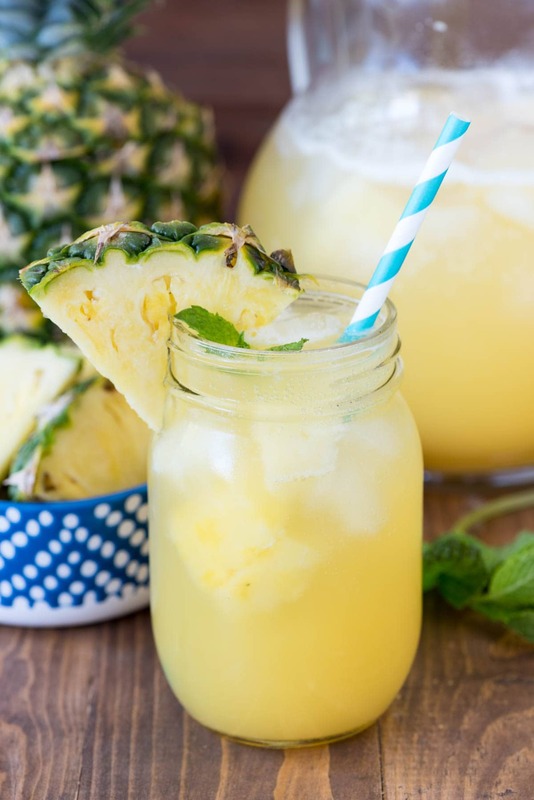 Prosecco, Rum, and Pineapple make a perfect party drink. Includes a non-alcoholic version! 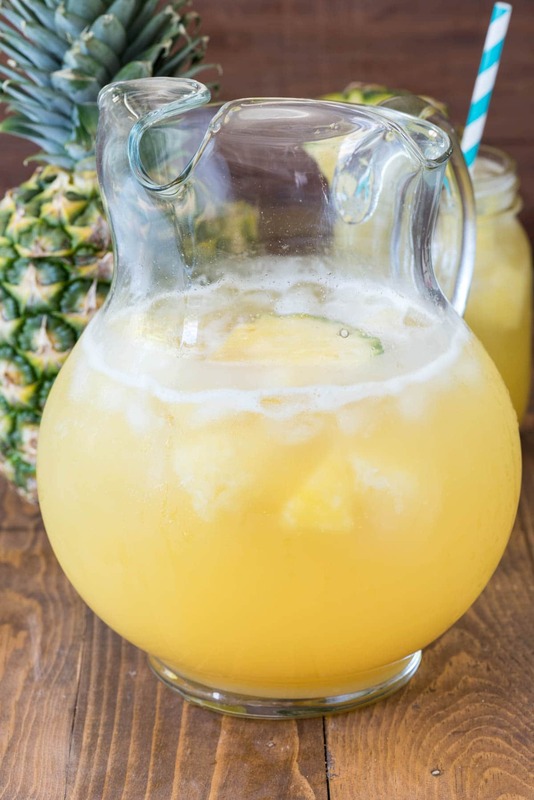 Pour pineapple juice, rum, and prosecco into a pitcher. Add frozen pineapple to keep it chilled. Serve the same day it’s made. Non-Alcoholic Version: skip the rum and prosecco. Use lemon-lime soda (regular or diet) or club soda instead. Click here to see more DRINK recipes! Click here for my ultimate Football Party Menu!